Willow bark tea is a brew made from the bark of the willow tree. It has an anti-inflammatory effect similar to aspirin, so it is used to relieve minor pain and reduce low-grade fevers. Willow bark’s pain relieving effects are not as strong as aspirin’s, but the tea is gentler on the stomach than aspirin tablets. 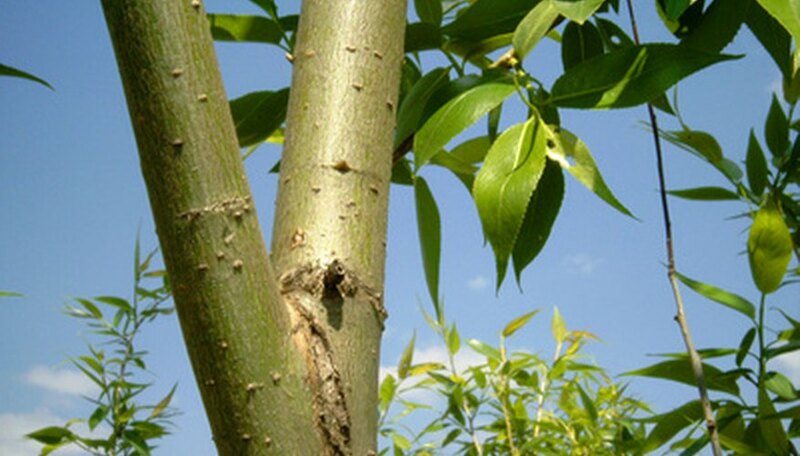 Willow bark contains salicin, which converts to salicylic acid in the body. Salicylic acid is the same compound found in aspirin and other analgesic medications. It acts as an anti-inflammatory which makes it effective against headaches, lower back pain, and the aches associated with rheumatism, bursitis and tendonitis. Willow bark also has anti-oxidant and antiseptic properties that may help it alleviate pain symptoms at lower doses than aspirin. Willow bark and willow bark tea are mentioned in historical texts dating back thousands of years. Hippocrates prescribed willow bark tea to women in childbirth and advised patients to chew the bark to relieve pain and reduce fevers. Ancient Chinese, Egyptian and Assyrian texts mention using willow bark as an anti-inflammatory and antiseptic, and Native Americans drank the tea for similar medicinal purposes. In the 1890s, the Bayer company used salicin from willow bark and other plants to develop the extract later used in aspirin. Willow bark tea is most commonly made from the dried bark of the white willow tree. Other varieties of willow, such as the purple willow and crack willow have higher amounts of salicin, and some dried willow bark sold in stores contains a mixture of the three varieties of tree. Unlike tablets that contain powdered willow bark, the concentration of salicin in dried willow bark is not always consistent. Willow bark tea is best brewed slowly to extract the maximum amount of salicin. Use about 2 grams of powdered or chipped bark for each cup of tea and steep it for up to eight hours in cold water. Strain the brew before drinking it, and heat it if desired. Each cup of tea should contain 60 to 150 mg of salicin, which is the equivalent to a low dose of aspirin. The brew is quite bitter and can be mixed with sugar, honey or lemon to improve the flavor. People who are allergic to aspirin or who have been advised not to use aspirin should avoid willow bark. This includes people with gout, asthma and gastrointestinal disorders. Pregnant and lactating women should not drink willow bark tea because its effects on the fetus and breast milk are not well known. Willow bark should not be used along with other anti-inflammatory medications. Children under 16 years old should not drink willow bark tea for fevers because of the increased risk of Reye’s syndrome associated with aspirin. Like other herbal medications, willow bark and willow bark production are not FDA regulated.